November 27, 1988 – In the late 80’s, Rev. Fr. Peter Yang asked Betty Dante-Aw ‘73 to organize the SJCS Alumni. This culminated in the first ever Alumni Homecoming held at the school auditorium on the said day attended by around 350 alumni from batched ‘73 to ‘83. Elections followed and Betty Dante-Aw was elected president of the alumni association. Enthusiasm slowly died down and the AA was inactive. 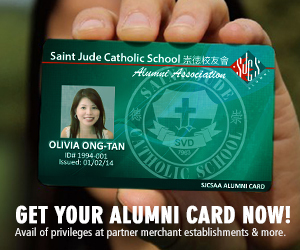 But Betty made sure that the SJCS Alumni Association was represented in and out the school. She also coordinated with the school about the election of officers for each graduating batch. She hoped that when the time is ripe, she would have planted the seeds that will help in the rebirth of the alumni association. June 12, 1997 – The day Rev. Fr. Peter Yang SVD passed away. June 20, 1997 – Msgr. Charles Tchou LMI, a co-founding father of SJCS delivered his eulogy for Fr. Yang. This enlightened the hundreds of Judenites on the great sacrifices and obstacles that they went through in building St. Jude. June 28, 1997 – Delegates from different batches attended the first organizational meeting of the alumni association at the Century Park Hotel to discuss election procedures and the setting up of the Rev. Fr. 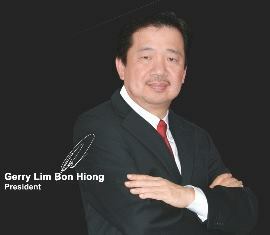 Peter Yang Memorial Fund with the SJCSAA as the sole administrator. August 09, 1997 – Batch representatives met again at the Century Hotel, approving the adoption of the SJCS Alumni Association Constitution and By-laws by the First General Assembly. August 30, 1997 – The First General Elections of the 15 members of the SJCSAA Board of Trustees by the First SJCSAA General Assembly were held at the Century Park hotel hosted by Mr. Lucio Tan Jr. ‘83. September 10, 1997 – Election of the First SJCSAA President and Treasurer were held and conducted by Atty. Edwin Lacierda ‘79 at the Quezon City Sports Club. After presenting his five point plan of governance, namely: Membership, Publication, Programs, Finance and Recognitions/Advocacies, Mr. Edward Lim ‘84 was elected as President and Mr. Vivencio Lee ‘79 as Treasurer. November 30, 1997 – The Formal Induction of the SJCSAA Board of Trustees at St. Jude Catholic School by Rev. Fr. Vicente dela Cruz SVD, Father Provincial, with Rev. Noel Bejo SVD and Rev. Fr. Leopoldo Jaucian SVD. February 1998 –”Titanic Movie Premiere”, the first major fund-raising event of the SJCSAA was held at the SM Megamall to a rousing success. September 26, 1998 – The 1st Grand Alumni Homecoming “Conduct C” was held at the St. Jude grounds. Msgr. Peter Tsao SVD, the third triumvirate of our founding fathers, was in attendance with over 500 attendees from different batches. The SJCSAA henceforth, led by distinguished Honorary President Mrs. Betty Dante-Aw ‘73, Presidents Edward Lim ‘84 (1998-1999), David Chua ‘85 (2000-2001), Alfred Chua ‘85 (2002-2003), Kenneth Hartigan-Go Batch ‘78 (2004-2005), Francis Glenn Yu ‘90 (2006-2007), Michael Tan ‘92 (2008-2009), Johann Tan ‘82 (2010-2011) , Mr. Richard Cuan ‘80 (2012-2013), their respective Treasurers, Board Members, Executive Committee Members, Committee Chairmen, Members and Batch Representatives worked tirelessly as in their school days in reaching out to our fellow Alumni through various endeavors such as the printing and distribution of the Full Circle (Official Publication) and the Alumni Business Network Directory and the building of our website http://www.sjcsaa.com. Through the years, various events were held such as the Leadership Congresses, Sports Competitions, The Chinese Curriculum Revision Conference held at the Richmonde Hotel, Recognition and Appreciation Night for Retiree Teachers, Gawad Kalinga Servant-Leadership Talk, Titanic Movie Premiere and other special movie screenings, Gary Valenciano Fundraising Concert which raised P 1.7 M for the school renovation fund, Inter-Alumni Interactions, Calamity Relief Donations, The Rev. Fr. 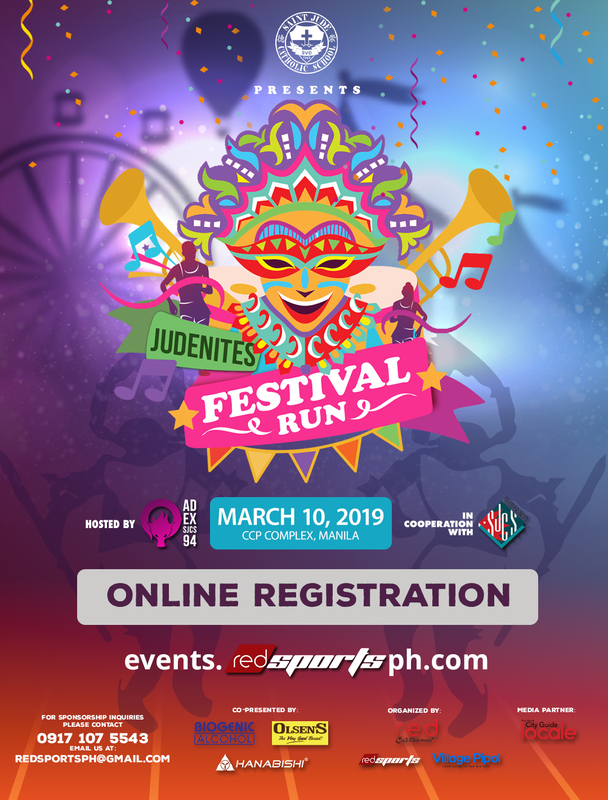 Peter Yang bust in the SJCS Auditorium, Career Talks, The 1st Fun Run held at the Mall of Asia grounds which drew over 4,000 participants and many more. The objective of all these activities was to foster camaraderie among old and new friends alike and to keep the Alumni Spirit burning. With the inception of the Alumni Association, the celebration of the Grand Alumni Homecoming was held every 2 years with 2 Silver Jubilarian batches as co-hosts.and the SJCSAA as the main organizer. These were “Conduct C”, the First Grand Alumni Homecoming with Nanette Inventor, the Jose Mari Chan Homecoming, the Nyoy Volante Homecoming, the Gary Valenciano Homecoming. The Parents-Teachers-Association (PTA) was instituted by our founder Rev. Fr. Peter Yang for the purpose of constructive dialogue between Parents and Teachers and as a building block for progress. Unfortunately, it was dissolved due to overbearing parent-officers who overstepped their bounds thus depriving the entire parent-stakeholders of any representation in their children’s education. Upon the death of our founder, the SJCSAA upon its formal formation, immediately acted to offer support by way of courtesy calls to the SVD Father Provincial , Rev. Fr. Vicente dela Cruz SVD, Acting School Director, Rev. Fr. Noel Bejo SVD and Principal Rev. Fr. (now Bishop) Leopoldo Jaucian SVD and the School Faculty. 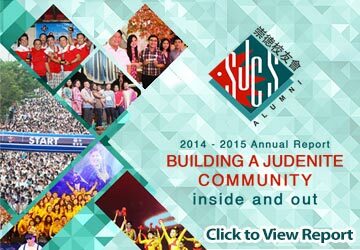 The SJCSAA and Rev. Fr. Noel Bejo SVD agreed that a parent support group should be revived. The momentum was carried forth with the formal request to the new School Director Rev. Fr. Teodor Gapuz by letter dated February 14, 2000 for the formation of a parents association or support group. The SJCSAA proceeded to gather facts, such as securing constitutions of other institutions, evaluated the needs of parents and studied measures to ensure that past mistakes will not be repeated. Finally the Draft Constitution of Parents Auxiliary Group or PAG was presented to Rev. Fr. Teodoro Gapuz SVD on October 25, 2001 at the 2nd Grand Alumni Homecoming at the Manila Polo Club. With the absence of a regular parent-adviser meeting, there is a natural eagerness on the part of parents to discuss their child’s progress with their class advisers. The SJCSAA realized the situation and recommended that, prior to the formation of the parent support group, a regular meeting of Class Advisers and Parents be held to allow all parents equal opportunity to visit and discuss matters openly with the teachers and vice versa, and for the class advisers to update the parents on the status of their children. With encouragement from Rev. Fr. Gapuz SVD, the first experimental Parent–Teacher–Conference or PTC was held. The Alumni is gladdened that since that day, the PTC has been held every quarter since, following the distribution of reports cards, enhancing the mutual trust and respect of parents and teachers toward each other. With the PTC in place, Rev. Fr. Teodoro Gapuz instructed the SJCSAA to proceed with the formation of the Parent Auxiliary Group. It was also recommended that the first group of PAG officers be appointed by the SJCS Alumni to allow the organization to grow and mature until it is ready for elections of its future set of officers. On November 19, 2003, at the 3rd Grand Alumni Homecoming at the Manila Peninsula, the first group PAG officers were inducted. In 2005, the school welcomed the new School Director Rev. Fr. Jerome Marquez SVD and Principal Rev. Fr. Linus Nicasio SVD having been appointed by the Father Provincial Rev. Fr. Nielo Cantillado SVD. Finally in 2006, the PAG had its first election for the Pre-School, Elementary and High School Departments. It took 9 years and 3 School Directors for the PAG to be born, the SJCSAA remains at the service of our Alma Mater for years to come.